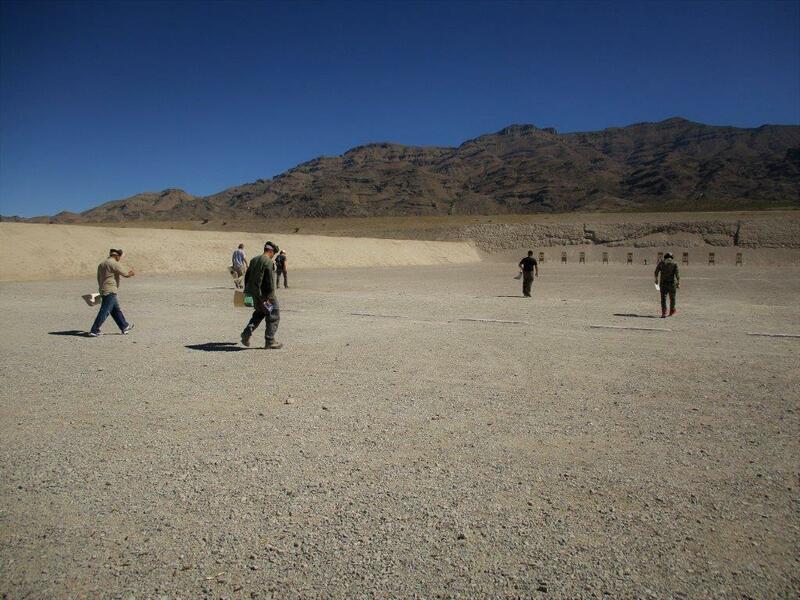 What a great day of marksmanship on the range at the five star Clark County Shooting Complex! Today we had eight shooters join up for a CMP Service Rifle match followed by an NRA AR Challenge match in the basic format. The weather was beautiful, with temperatures in the low 90s, clear skies and light breezes. Everyone was very safe and we had an experienced crew of previous Revere’s Riders students, CMP competitors and NRA instructors. We started off with a safety brief and sighters. A few of our instructors pitched in to coach with sight adjustments. That math really works—”Stay Calm and Do IMC!” By 0900 we were starting our CMP service rifle match. 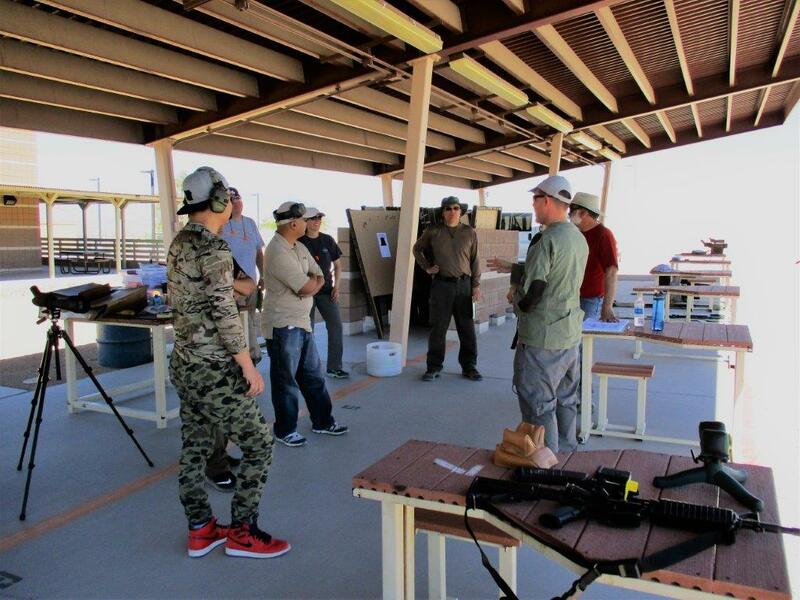 This event was conducted at the reduced range of 100 yards using the official NRA scaled targets. The service rifle course of fire is a challenging one but everyone was scoring hits on each stage. This challenge is very similar to our Revere’s Riders rifle challenge, except the scoring uses a 10-point scale instead of the simpler “hits count” model. It was very comforting to hear the steady “thump, thump” of the 308 down on the end of the line. Of note, the CMP’s score cutoff for a “sharpshooter” classification is a score of 85% or 425. Everyone had a blast and learned a few things about themselves and their rifles! I did not use my spotting scope during stage one and probably should have—I had the time and could have easily picked up a few more points and made the sharpshooter cutoff by “observing, orienting (IMC) and deciding” to adjust my sight picture up a bit sooner. Shooters use a preparation period to get ready for the rapid fire prone stage. I really enjoyed the Vortex PST for this type of shooting. We’ll share more info on that particular optic soon, but check it out at A&A Optics ; Vortex has discontinued the model and Alan has some of the last ones in stock for a great price! 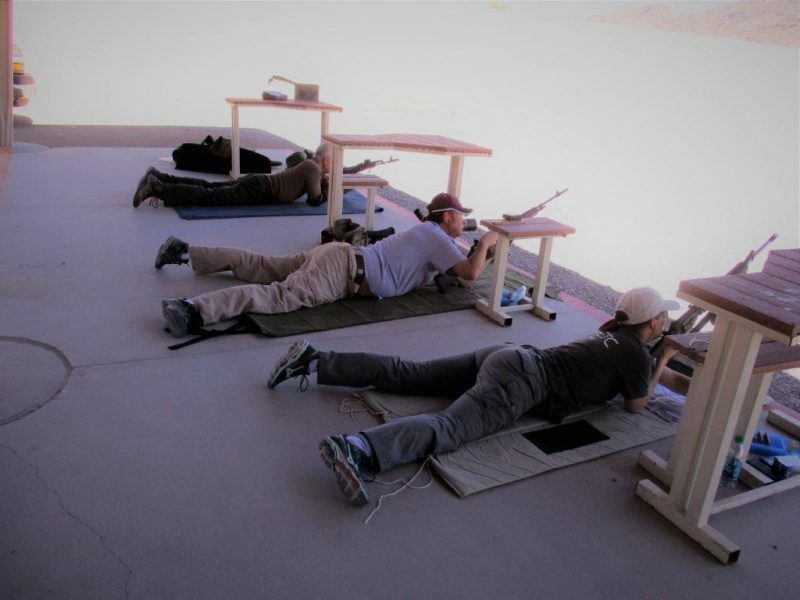 Our carbine course of fire used the Revere’s Riders Carbine Qualifier which is based on elements from the WW2 M1 Carbine Qualifier and executed in the NRA AR Challenge basic format. For our bonus stage today, we had a hostage rescue steel challenge… 20 seconds to hit a 4″ paddle at 100 yards with one shot, without smacking the “hostage.” James nailed it, coming within one shot of a coveted Master classification. Competitors head downrange to post fresh targets. For reference, the score cutoffs are Marksman (15), Sharpshooter (17), Expert (19), Master (20 + Bonus Challenge). James rocked this challenge today with some amazing shooting. He nailed all the T-Zone shots with his new ACOG despite not having a chance to check out the mechanical offsets first—that’s thoughtful shooting with a solid understanding of the mechanics of the optic and trajectory. Of note, Greg was rolling with an AK using a red dot sight, and Dann shot an M1 carbine (suffering from a number of malfunctions), so its not just AR-15s out there on the carbine course! Only by getting out there and shooting will you learn those fine details about how you and your rifle perform. Check out our schedule and find an event near you today! You can also check out the conversation at Nevada Shooters. Thanks as always to our great volunteers for coming out—thanks Dann! The CCSC as always is a beautiful facility to use.